Stockbridge, Georgia, the “Gateway to Henry County,” works diligently to be the most progressive business and family-oriented community in Metro Atlanta. The Main Street Community has embarked upon a comprehensive downtown district revitalization plan focused on the organization, design, restructure and promotion of downtown Stockbridge that aligns closely with the National Main Street Program in further pursuit of a business-friendly environment. 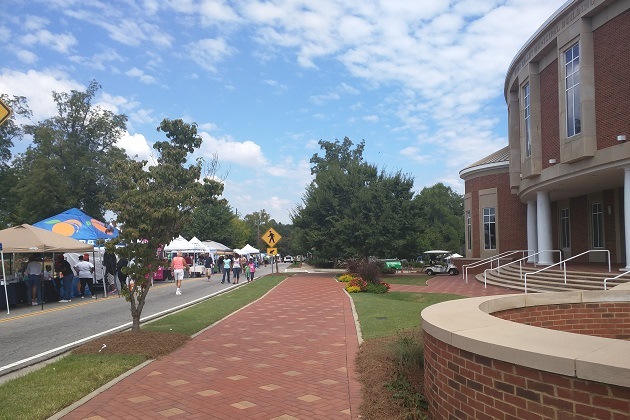 But Stockbridge also offers a genuine sense of community with events that include festivals, parades, the sounds of summer concert series and family-friendly movies branded “Screen on the Green” on the city hall lawn. Stockbridge is conveniently located in the Southeast Metro Atlanta area, around 12 miles from Hartsfield-Jackson International Airport, 20 miles from Downtown Atlanta and roughly four hours from the Savannah Port, accessible from both Interstates 75 and 675. The birthplace of Martin Luther King, Sr. is now home to a diverse, well-educated population of around 28,000 who enjoys newer homes, a complete menu of city services, Henry County Public Schools, private schools, healthcare through Piedmont Henry Hospital and Children’s Healthcare of Atlanta Urgent Care. Find out more about more about Stockbridge, Georgia. Call (678) 775-2677 today. Find Homes for Sale in Stockbridge, Georgia. Read about other Cities and Neighborhoods of Metro Atlanta.